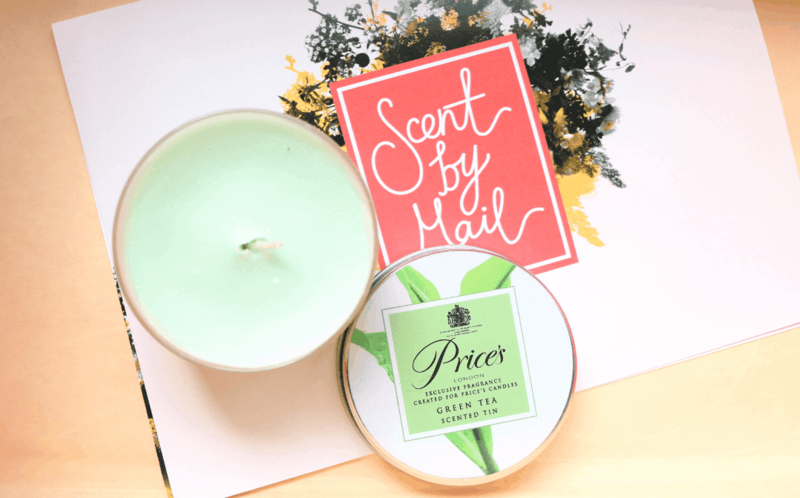 Scent By Mail is an exciting candle and home fragrance subscription box that I’ve recently been introduced to. I feel that these types of boxes are hugely popular as I know lots of family and friends who LOVE their home fragrance products, and I myself, am constantly buying scented candles! Regardless of which subscription that you choose, each plan is guaranteed to save you up to 25% off the high street RRP of the products, and as Scent By Mail work with over 40 premium brands, you can always be safe knowing that you’re going to receive some beautiful quality items. 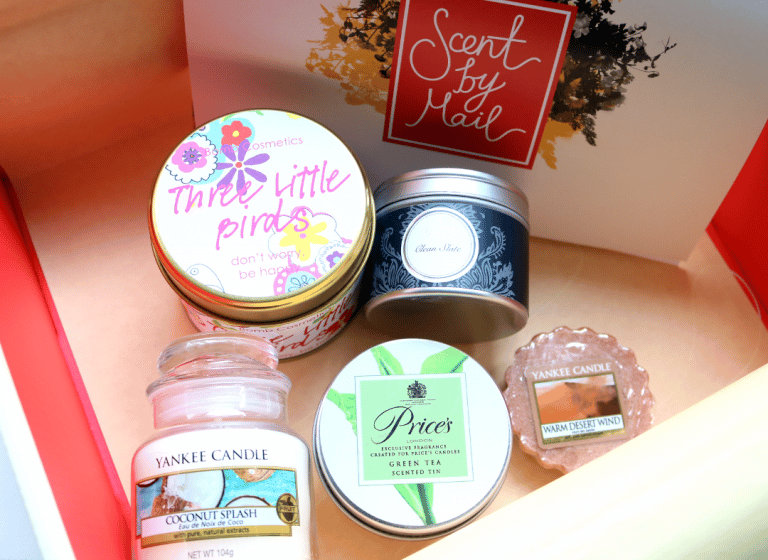 The selection is a surprise every month, and I have the August Scent Enthusiast Box to share with you all today. The box arrived beautifully packaged and immediately set the tone for a high-quality subscription box. This is definitely something that you could give as a gift! Inside, I found five products and everything smells incredible. Let’s take a closer look, shall we? 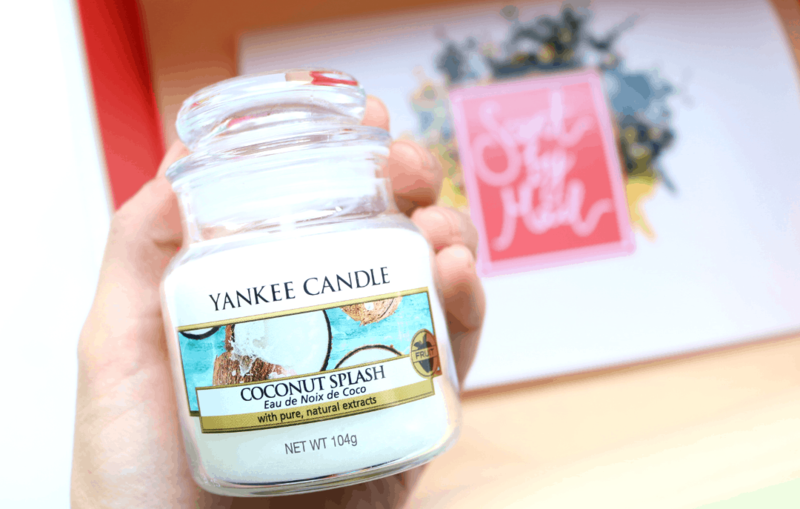 Yankee Candles always smell good and this Coconut Splash scent is one of the brand’s new Summer releases. With top notes of Melon, Coconut Water and Mango, middle notes of Coconut and Coconut Milk, and a base of Vanilla and Sandalwood, this scent blend is pure tropical sweetness in a jar! It’s not as sickly sweet as some Coconut scents, and has a much fresher feel to it. This small jar candle will burn for 25-40 hours. Can we just take a moment to appreciate how beautiful this candle from Bomb Cosmetics is? This is their Three Little Birds Candle Tin and it has four adorable colourful hearts nestled inside. It smells as good as it looks and has an uplifting scent of Orange and Bergamot. Very summery and cheerful! Burn time is 30-35 hours. I love using wax tarts in my burner, so I was very pleased to see this one from Yankee Candle included in the box. 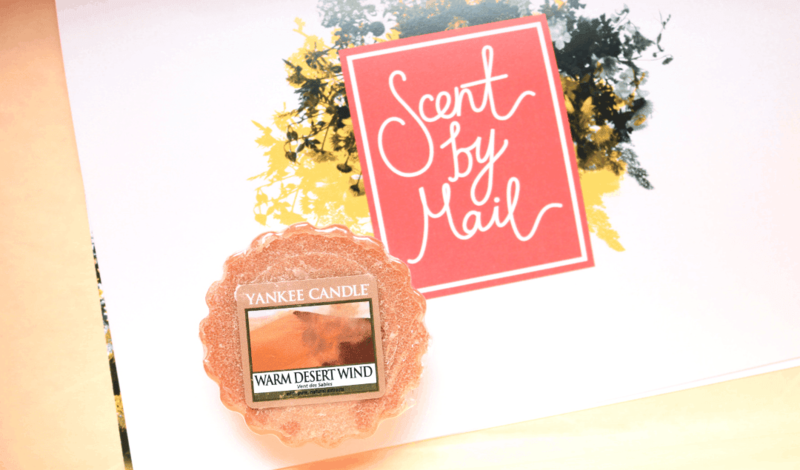 Warm Desert Wind is another new fragrance that they have released this Summer and it has a delightful scent of Smoked Vanilla and Patchouli to evoke the spirit of open space and distant lands. I really like it and this little wax tart will burn for around 8 hours. Next, I found a travel tin candle from Shearer Candles who have been in business since 1897. 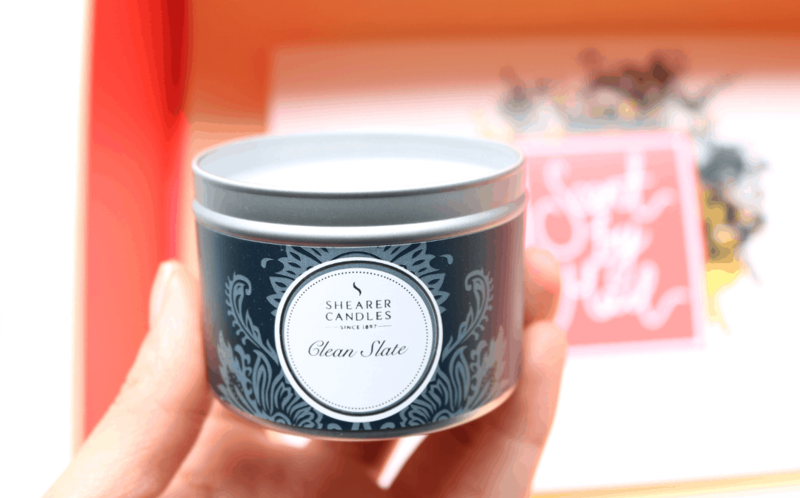 Their Clean Slate fragrance is very pure and clean indeed with fresh notes of Lily, Jasmine and White Rose. This is a lovely candle to burn before you have guests over as it makes everything smell fresh and clean. Burn time is up to 20 hours. The last product in this month’s box is a Prices Candle Tin in the scent Green Tea. With a burn time up to 30 hours, this candle has a very welcoming and calming fragrance like you would imagine from Green Tea and would be ideal for using anytime that you want to relax and have some peace and quiet. 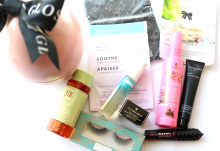 The Scent By Mail box exceeded all of my expectations and I love all of the products that they've included in this August selection. 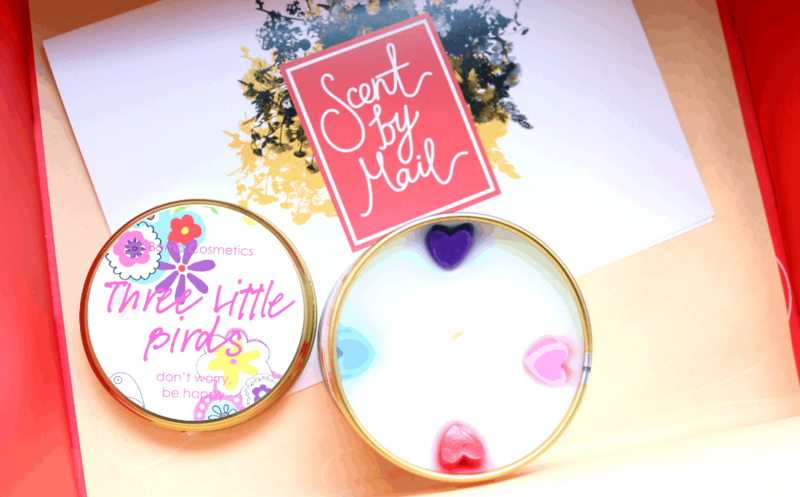 The brands are great quality and the fragrances are all gorgeous, especially the Yankee Coconut Splash and the Bomb Cosmetics Three Little Birds candles! 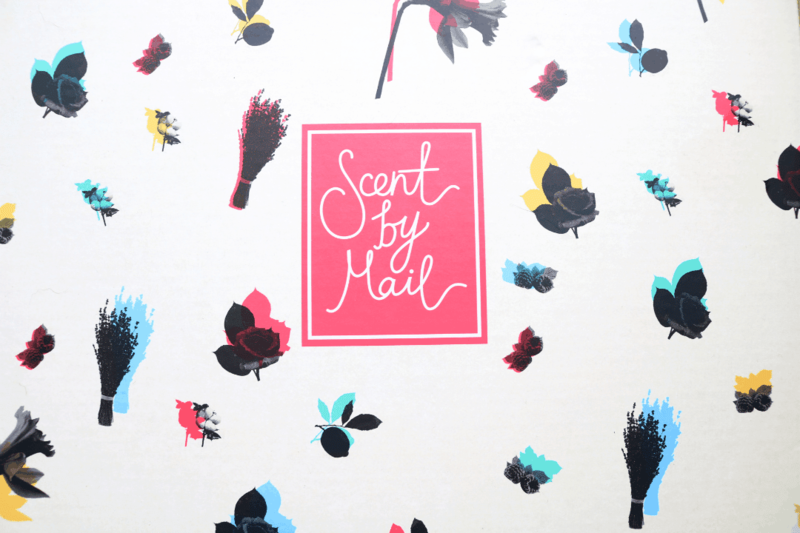 How would you rate Scent by Mail ?